Are you suffering from a unique medical condition that can’t be treated with normal generic medicines? Are you looking forward to healing faster? If you are, be sure to visit a reliable pharmacy that offers compounding and health care supplies in Spring Hill Florida. If you’re looking for medicine for your children but can’t find a better-tasting one, compounding their medicine is the solution. Visit a reliable pharmacy in Spring Hill Florida that has a professional pharmacist to mix and add flavor to their medication. Do you have a sore throat? Or have you had a tooth or jaw operation that makes it difficult for you to swallow a pill? If you do, compounding your medicines can also be your choice. You can take your medications in liquid form. Lastly, you can benefit from compounding if you need to take medication with a specific strength or dosage. You can just give the doctor’s prescription to the pharmacist, and you can wait while they mix and match medicines to produce a personalized dose. This applies best if you’re suffering from a specific health condition, such as cardiovascular diseases, skin problem, or hormonal problems. 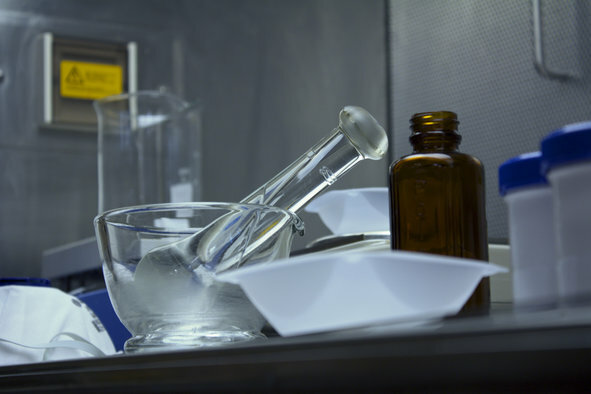 The best thing about compounding is the fact that it’s designed to suit the specific needs of the patient, especially the dosage and strength. If you’re in Florida, you can rely on 4 Corners Pharmacy for top quality medicines and medical supplies. Our pharmacy also offers delivery, medication flavoring, and prescription refills. Just visit the store or send us an email for inquiries. This entry was posted in Compounding Services and tagged affordable pharmacy, compounding medicines, medical supplies. Bookmark the permalink.